This is a recent press release from Nissan, I thought it made interesting reading so I have posted it verbatim. More than nine in 10 owners (93%) use it as their main family car, 64% say it's better to drive than a petrol or diesel vehicle and one man even sold his Aston Martin to buy a pair of them in order to avoid domestic fights. These are just some of the insights from a sample of the 6,500 plus Nissan LEAF owners now in the UK. The brand new research naturally points out the significant financial savings made by owners, but it also highlights how living with the Nissan LEAF in the real world has turned it from a second car into the main family car for many motorists. With a cost per mile of just two pence or less, it is understandable that the majority (89%) of those surveyed reported significant savings against more traditionally-fuelled cars. One driver calculated that he had spent just £400 travelling more than 22,000 miles in his Nissan LEAF, with many reporting savings of £200-250 per month. With the savings made, LEAF owners have been treating themselves to little luxuries including a 3D printer, a vintage synthesizer, holidays and many installing solar panels on their homes for virtually free motoring. 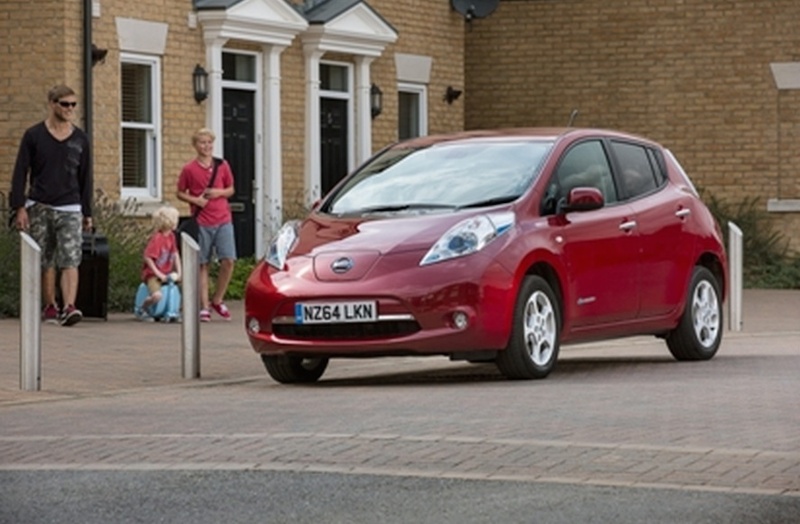 Nissan Motor GB Limited Managing Director, James Wright, said: "Electric car ownership was a big step for motorists to take when we launched the LEAF in 2011 but we are now seeing that owners who were bold enough to take that step are reaping the benefits. "The issues that the naysayers said would hinder ownership have not materialised and, in fact, the feeling from LEAF owners is that they would never go back to a traditional combustion engine. We were the first to bring a mass-produced electric car to market, so it stands to reason that we are also the first to prove the genuine viability of electric motoring." More than one in two owners admitted they would not go back to a conventionally-powered car, 41% said the car has positively changed the way they drive and a unanimous 95% of them were happy to recommend it to a friend. Nine in 10 now use it as their main family car, citing everything from practicality to simple enjoyment of driving. One owner ended up ditching his Aston Martin to buy a second LEAF to avoid arguments with his wife about who would take the Nissan to work every day. More than a third said that they do not have to plan journeys in advance any more than they did before owning an electric car, especially as 89% of them charge up their LEAF overnight at home. Only recently, Nissan Motor GB Limited Managing Director, James Wright, said sales of the British-built model were "reaching tipping point", with ownership now doubling month-on-month. Boasting 64% Pure EV market share, more than 3,599 cars have been sold in 2014 - almost double the volume sold in 2013 (1,812 in total). In September alone, Nissan's all-electric family car sold a record 851 cars - more than double the number sold in the same month last year and the largest volume ever sold in one month in a European market. Nissan's Sunderland factory has built 24,000 LEAFs, with 147,000 sold globally since launch.